Also, have you asked yourself whether you want a motorhome or a caravan? There are advantages and disadvantages of both depending on how you travel, where you want to go and what you want to do when you get there. It’s much easier to hire a motorhome than a caravan, which is a great way to try before you buy one. We’ll assume you have decided that towing isn’t for you and you want four wheels under your mobile accommodation, and if it’s OK with you, we’ll stick to the generic term of motorhome to cover the plethora of sizes and types throughout these hints and tips. Although you might think your ideal motorhome is whatever you can afford within your budget, it might not be quite that straightforward as there’s a couple of important practical and legal considerations, starting with the maximum weight of the vehicle. If you passed your UK driving test on or after 1 January 1997, and you haven’t taken an additional test to get the full entitlement, then you will only legally be allowed to drive any vehicle with a maximum weight of 3,500kg. That’s the law, and it will mean that some of the bigger and heavier motorhomes are off limits to you. It is possible to take an additional test to give the same, full entitlement (up to 7.5 tonnes) of licences from tests taken on or before 1 January 1997. Do bear in mind that larger vehicles/motorhomes with an unladen weight of more than 3.05 tonnes have a lower speed limits on single and dual carriageways. You should also consider how much ‘payload’ there is for all the stuff you will be tempted to take with you, especially if the motorhome has one of those large ‘garages’ at the back that could so easily tempt you to fill all that space available. If you’re motorhome is overloaded you’re risking your own safety (and others), getting in trouble with the Law, and possibly invalidating any warranty on the vehicle. OK, so we’ve already mentioned the weight and driving licence limitations for bigger, heavier motorhomes (see ‘weight’ section above), but don’t let that put you off, as there’s still plenty of lighter models to choose from. What size motorhome do you want or need? Do you have space to park it at home? Do you want to take it abroad or to the Scottish Highlands, for instance, as ferry companies charge by length, so the longer the motorhome, the more they charge. 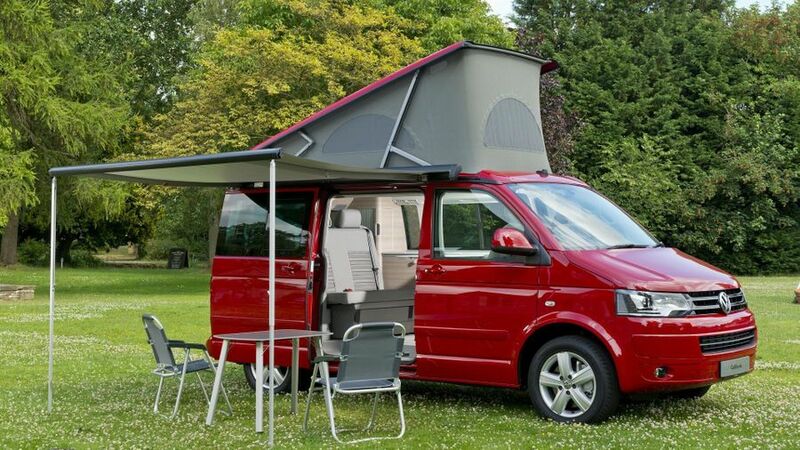 Some people prefer compact campervans with elevating roofs that they can then easily use as an everyday vehicle and still fit in a regular car park space or under most car park height barriers, while there’s also been a huge growth in the number of high-roof panel van conversions available of varying sizes. Beyond that, for more space, the next size and style of motorhome is a ‘coachbuilt’ which means a body on the back of a cab or an ‘A-class’. We’ll get into the names for the different styles in the ‘jargon’ section. There’s been a trend for ‘down-sizing’ in recent years, which has led to a growth in the number of motorhomes (just) under 6.0m in length which is considered a manageable size for car park spaces and the limit for the next length of price class for ferry or train crossings. There’s plenty of people who disappear in motorhomes of all shapes and sizes for wonderful long tours of the UK and Europe. The possibilities are endless, but in the end, your choice within your price range will depend on the size, weight, space and layout you want. 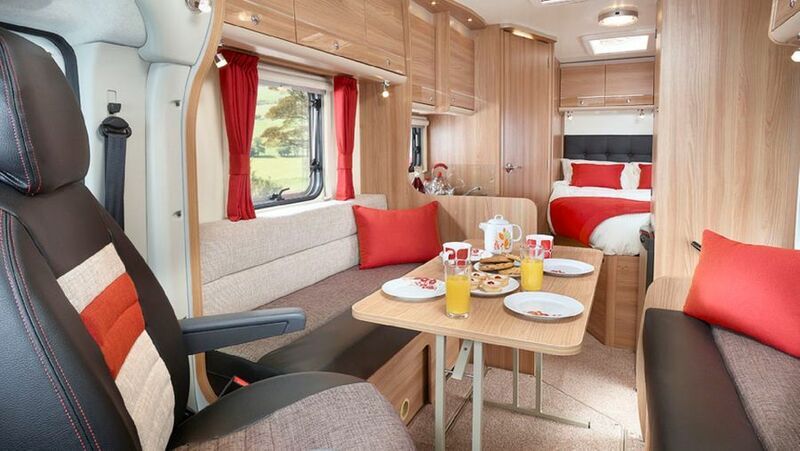 Like caravans, there’s an array of interior layouts for motorhomes, but with the added choice of double beds that lower from the roof over the front seating area, or located in the ‘overcab’ area and rear double beds over ‘garages’ or those in van conversions that fold in half to create space for bikes, etc. Smaller campervans have the iconic imagery of pop-up roofs to provide extra sleeping space, which some van conversions now have as well. If having your own washroom is important, then you’re probably going to want something bigger than a standard campervan, as only a few have built-in toilets or just a portable toilet to pull out an use, maybe to save walking to the campsite facilities during the night. 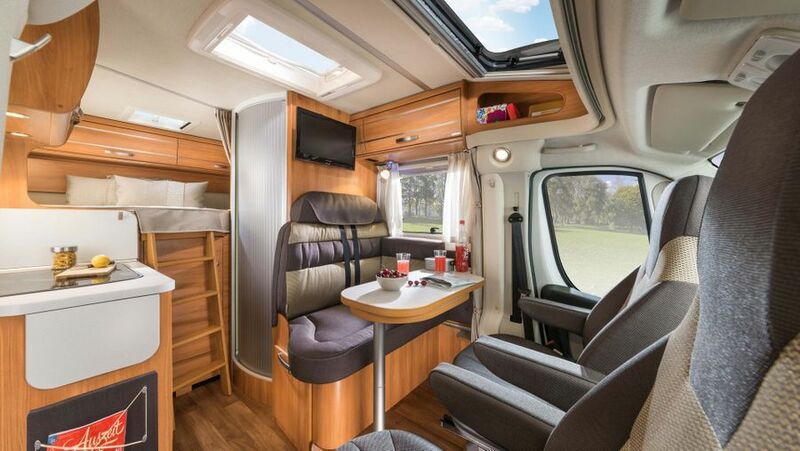 Ditto, showers: they take up too much space and height for most campervans, and can be cramped until you get to the space offered in a coachbuilt, or bigger motorhome. If you will be taking passengers, then they must travel in seats with proper seatbelts, but many motorhomes are aimed at couples, so don’t always have them. There are a lot of motorhomes from continental brands in the UK, and they’re certainly popular, but do bear in mind that although they’ll usually have a right-hand-drive cab, they mostly have their entrance door on the ‘wrong’ side for the UK (not that it seems to put many people off them) and may not have some features that the British typically like, such as a grill and oven. Sometimes, you won’t know which layout you prefer until you‘ve tried them, so do consider hiring one first. Is it stolen? Check the seller has any receipts from buying it and servicing it. Are there any obvious signs of damage from tampering with the hitch, door locks, windows, VIN (Vehicle Identification Number) or weight plate? Check its registration details and history (or outstanding finance) before paying any money. Tyres: Many motorhomes do below average annual mileages, so although the tyre treads may look OK, always check how old they are as after a few years of being in the sun and having the load of the motorhome on them, the side walls can crack which could lead to a dangerous blowout while travelling. The tyres probably need changing every 4-5 years even if they’ve got plenty of tread left. When was it serviced? An annual service is recommended for any vehicle, but this includes the habitation part of the motorhome as well, and will be an essential requirement for any warranty to remain valid. Things like gas pipes, electrics, and heating all need servicing, and a service should usually check for any signs of damp as well. There’s a lot of equipment in a motorhome, so for your own safety, an annual service is extremely important. MTPLM – Maximum Technically Permissible Laden Mass – the maximum weight that the motorhome must not exceed. Payload – the difference between the MRO and the MTPLM. This is the maximum weight of items you can load in to the motorhome. 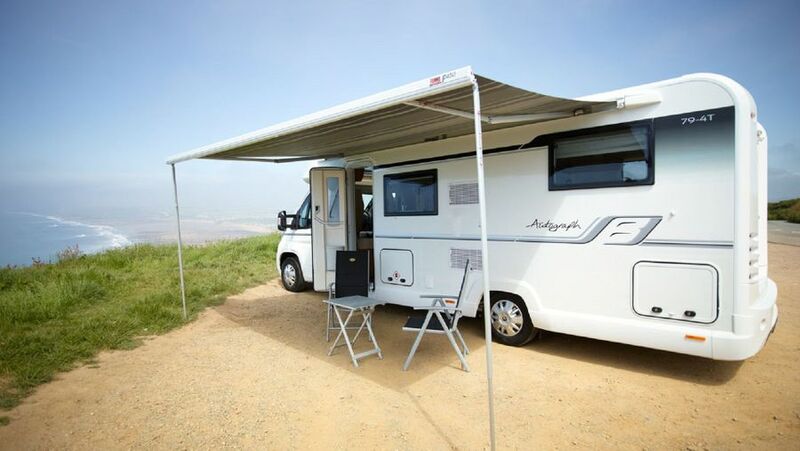 Campervan – there’s varying definitions of a campervan (or camper van), but traditionally, most probably think of them as having an elevating roof, or maybe a high-top roof. Some define it as whether it has a washroom, or not. These days, conversions of larger panel vans are also often called campervans as well. Rock-and-roll bed – Don’t get the wrong impression. This isn’t a bed with any connection to music. It’s simply the popular style of rear seat found in campervans that converts in to a double bed. Hopefully, the manufacturer will have properly crash-tested it. Coachbuilt – This must be the most popular type of motorhome construction. As its name implies, it is built on a chassis cab, so retains the front cab (usually a Fiat Ducato, or maybe a Peugeot Boxer, Mercedes Sprinter, Ford Transit or a Renault Master). They are usually wider and better insulated than a panel van conversion. Overcab – This term is easier to guess as its name gives away that the motorhome’s coachbuilt body continues over the vehicle’s cab, usually with a bed or storage space. This was a very popular body style of coachbuilt motorhome, but its obvious negative effect on aerodynamics and fuel consumption, plus the advent of drop-down beds, has led to the ‘low profile’ style becoming more popular. 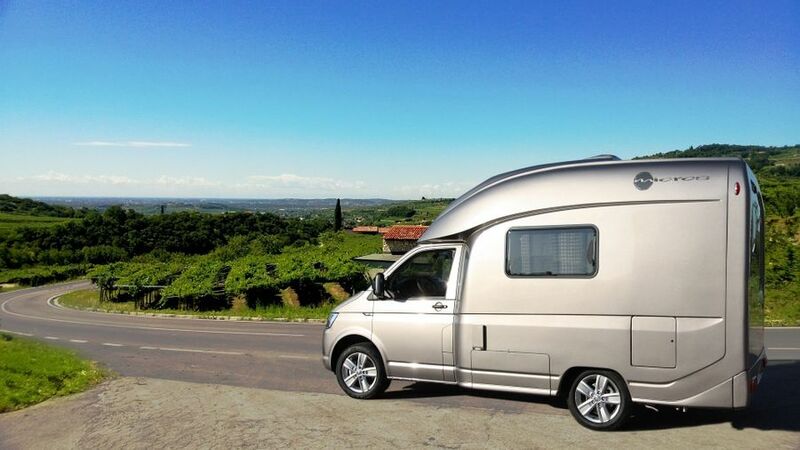 Low-profile – Basically, it is a coachbuilt motorhome without the overcab area/bed. This gives is a more efficient and aerodynamic styling. A-Class – Considered the most prestigious style of motorhome, the A-Class has a complete body built over the chassis and mechanics. Most are based on the same Fiat or Mercedes engines as coachbuilts, but without the cab or dashboard. Lots of people turn to social media to find answers to their motorhoming questions, which can be really useful, but sometimes this information is wrong or misleading, so be careful. For professional advice, you can join the Caravan and Motorhome Club, or the Camping and Caravanning Club; both have huge resources of information available. Both organisations and lots of owners clubs organise weekend events, where you’ll find lots of supportive and helpful people. For (hopefully) obvious safety reasons, you can’t sleep in the back of a motorhome while you’re travelling. Dogs need to be secure for travelling as well. If you haven’t driven a motorhome before, consider taking a motorhome manoeuvring course, or at least go to a large, empty supermarket car park for some practise before hitting the road. Wild camping is popular and simpler with a motorhome (than a caravan), but forbidden in many areas of the UK, so check first. The golden rule is to leave no trace of your visit. There is a whole network of places, such as pubs, that will let you stay overnight for free or a nominal fee, and Aires, mostly found on the continent, only allow motorhomes but usually provide the minimum of facilities for just a few Euros. It’s always a good idea to take a motorhome for a test drive to see how it feels and assess the amount of noise from rattles and squeaks from the interior. If you’re planning to park your motorhome at home, make sure there are no restrictions covering this on the deeds for the property. It should be less of an issue for motorhomes than caravans, but can still happen. Like any vehicle, a motorhome and its contents may appeal to thieves so needs to be insured in case of theft of the vehicle or its contents, or damage, including when you’re not using it. Damage from storms, accidents or theft, can happen at any time, anywhere. Additional door locks, tracker devices and a host of other security accessories are also a sensible investment and can lead to discounts in insurance premiums. Key to the security of your motorhome is also where it is stored when not in use – which your insurance company will want to know. If you have to use a local storage site, it must have as much security as possible and, preferably, be CaSSOA (the Caravan Storage Site Owners’ Association) registered. If you want to keep it at home, check for any restrictions in the deeds of your house prohibiting this. It’s better to keep it out of sight, if possible, so not to tempt any suspicious characters – or annoy the neighbours. Wherever it is, check it regularly as any storm damage or obvious leaks will need to be reported or actioned upon immediately. The vast majority of motorhomes are equipped to keep you comfortable. Even campervans have a minimum of: mains hook-up (240V electricity), heating, cooker and fridge, plus possibly some fresh and waste water containers. For hot water, a grill/oven, shower and toilet, you’ll need a van conversion, coachbuilt or A-class. Variations in trim levels will bring dual-fuel hobs with an electric ring as well as three gas ones, larger fridges, full ovens instead of combination grill/ovens and plusher upholstery and fixtures and fittings. Other, more expensive features include front sunroofs and upgraded heating systems with mini-radiators like at home. Check how many plus sockets there are and where they are located to check if you can comfortably use a hair dryer, TV or phone charger. USB charging points are relatively new, but can be retro-fitted.